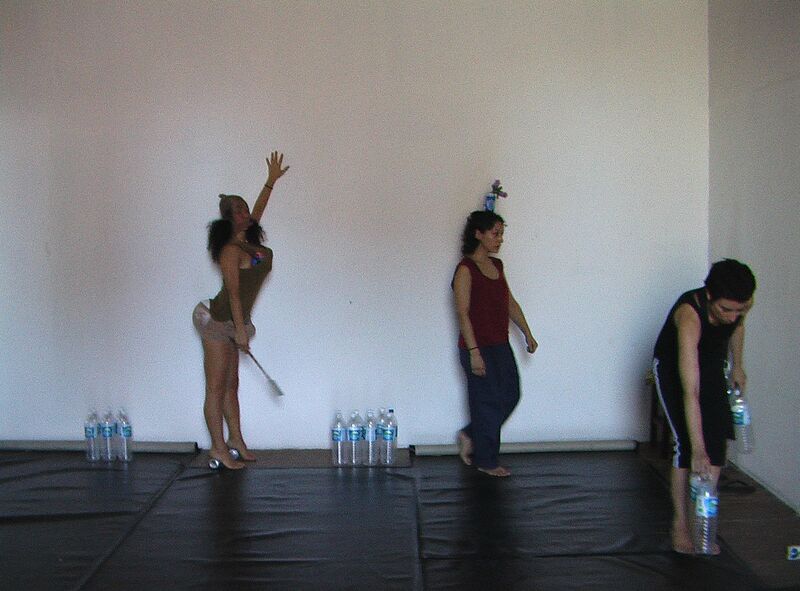 “Exercícios para sair correndo sem ruído e com a bunda de fora ouvindo canções-intestino” is a collaboration between Margo Assis, Estela llovéz and Sara Gebran, under Panorama festival arrangement. 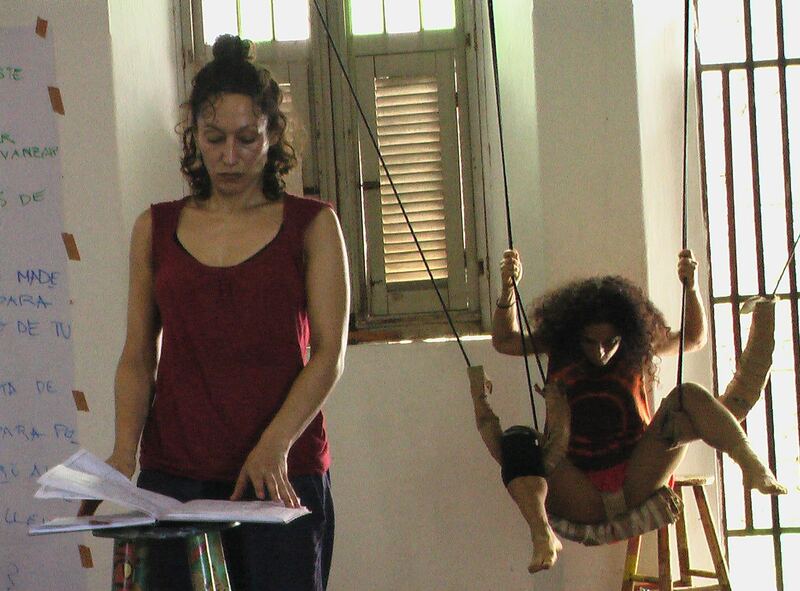 The work is built of 3 solos made independently from each other and put together with the very personal, different, opposite, contradicted or not dynamics. 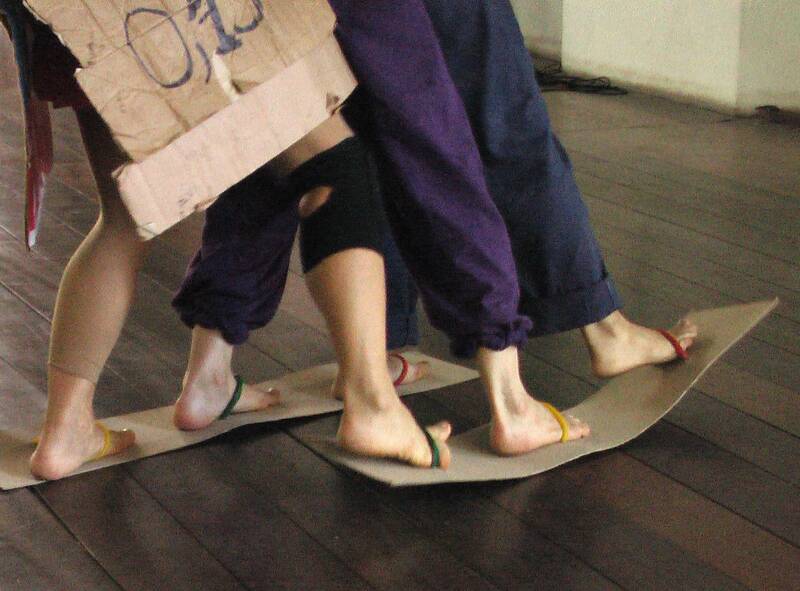 It seams as if there is no apparent collaboration, ‘interfering’ or not with each other randomly. In opposition to the norm of what is understood by collaboration, collaboration happens here when we have to deal with the conflicts that arises by the acceptance or not of our co-existence. We filtered nothing, we didn’t polish anything, we experimented. It’s a totally new, interesting and crazy work. Support: Danish Art Council (Scenekunstudvalg) & Panorama Festival.